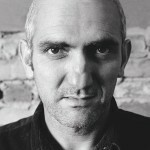 Paul Kelly is one of the most significant singer/songwriters in Australia. Here&apos;s his solo rendition of one of his best-loved songs, chosen as the final performance of TEDxSydney 2011. As well as issuing an enduring body of work with his own bands, Kelly has recorded film scores (Lantana and the Cannes 2006 highlight, Jindabyne) and written songs with and for many other artists. Songs From The South, a selection of his popular songs first assembled in 1997 and expanded to a double album in 2008, continues to have wide appeal, with many of his songs now lodged deep in the Australian psyche.